AYR Member Allison Sparks and her lovely sister! Just one view of the enormous crowd! I think this says a lot about Obama in general about how a) he has no clue how to deal with foreign leaders, and b) where his allegiances really lie. However, White House Press Secretary is now claiming that it wasn't a bow, but that he was shaking it with both hands, which of course is a blatant lie, but then again, I shouldn't be that surprised about them trying to hold off the proof that he respects Muslim leaders more than the Queen of England. How are our US Senators voting on our behalf in Washington? While, Senator John Cornyn is doing an amazing job protecting our tax dollars; Senator Kay Bailey Hutchinson is a completely different story. What is KBH thinking?? I thought our conservative leadership was supposed to be fiscally responsible with our hard-earned money! We don't need to be funding more bailouts with public funds. And, we are in desperate need of Earmark Reform. Our elected officials should watch out for our interests as taxpayers. 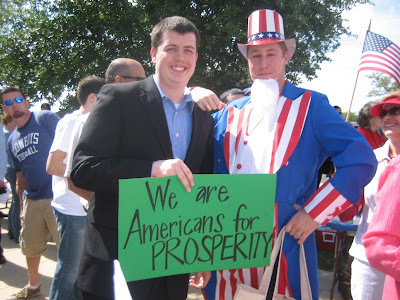 Kay Bailey Hutchison has also voted to raise taxes through the massive expansion of S-CHIP (Just another gateway to socialized healthcare) and managed to slip in $150M + of pork into the FY2009 Omnibus. We need to hold our conservative leadership accountable for such actions. I highly recommend that everyone listen to Rick Green's new radio show "The Word" if they can. If you don't have a radio, they run the live stream on the internet! inspired to make a difference in the culture. and still call in with your comments and questions. If it is 4:00 PM to 6:00 PM C.S.T. right now, click here for a live feed! 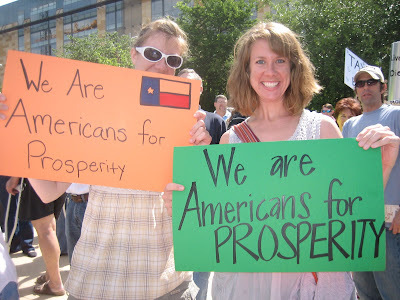 Join us tomorrow at 7pm on for a Tele-Townhall Conference Call with Governor Rick Perry hosted by Americans for Prosperity - Texas. We will be discussing the so-called stimulus and the strings attached to the unemployment insurance funds. You will have the opportunity to personally ask him questions during this Tele-townhall by dialing (zero) while on the call. If you have any questions, please email Eliza Vielma. They are going over the Voter ID Bill. Robin Armstrong, Vice Chairman of the Republican Party of Texas, is currently testifying. To watch it on your computer, click here - then click "Live Stream 2". 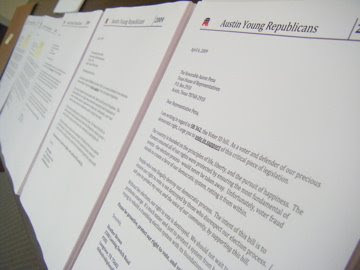 AUSTIN — Members of the Austin Young Republicans organization plan to deliver more than 200 petitions in support of the Texas Voter I.D. bill (SB 362) to Texas House members on Tuesday. The AYRs collected the signatures during a weekend-long online campaign beginning Friday, April 3. In three days, more than 200 Texans signed the petition supporting the bill, which requires a form of state-issued identification in order to vote. Studies have shown that voters across the income and racial spectrum support voter identification requirements. A 2005 bipartisan federal commission headed by former President Jimmy Carter and former Secretary of State James Baker found that voters in nearly 100 democracies use a photo ID card without fear of their rights being infringed upon. Eighteen of the 21 members of the commission – including President Carter – supported photo ID requirements for U.S. elections. 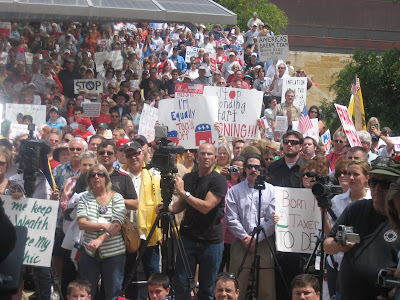 Yes, the crowd was probably too rowdy, but to be told to leave the Chamber when they are voicing a dissenting opinion shows that the Democrats don't want to debate this, they don't want to hear from the Conservative side about what this bill would do, namely cause Iowa to lose jobs. 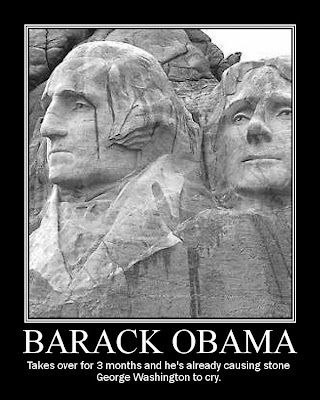 I really hope that a nationwide grassroots movement will spring up to fight what the Democrats are wanting to do. 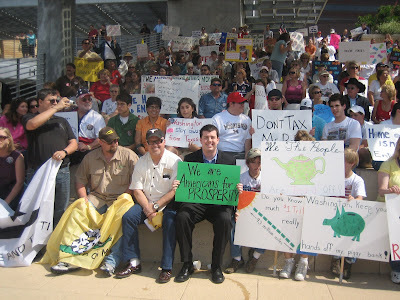 I feel like it is starting now with the Tea Parties that are springing up around the nation. Austin YR is a co-sponsor to the one being held in Austin. 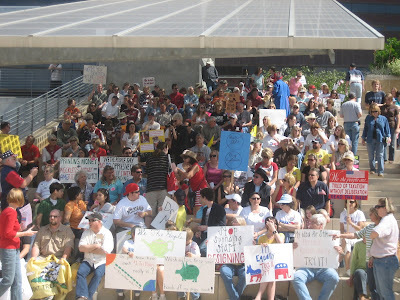 It will be April 15, 2009, and take place at Austin City Hall, starting at 11 am.